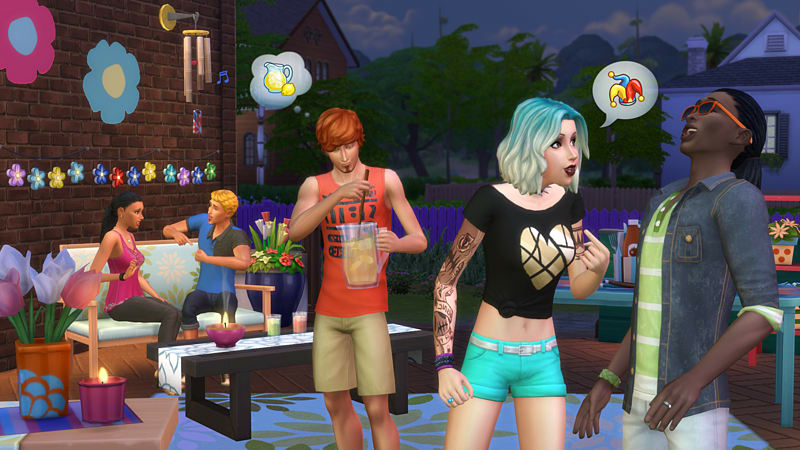 Create a casual backyard space for your Sims to kick back and cool off with The Sims™ 4 Backyard Stuff*. Attempt crazy tricks on the lawn water slide or chill out with a glass of lemonade. 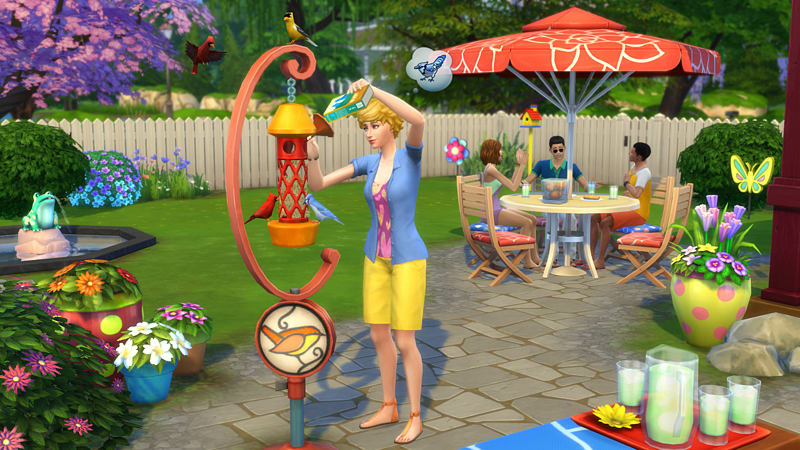 Decorate the backyard with colourful new objects and outfit your Sims in laid-back fashion. 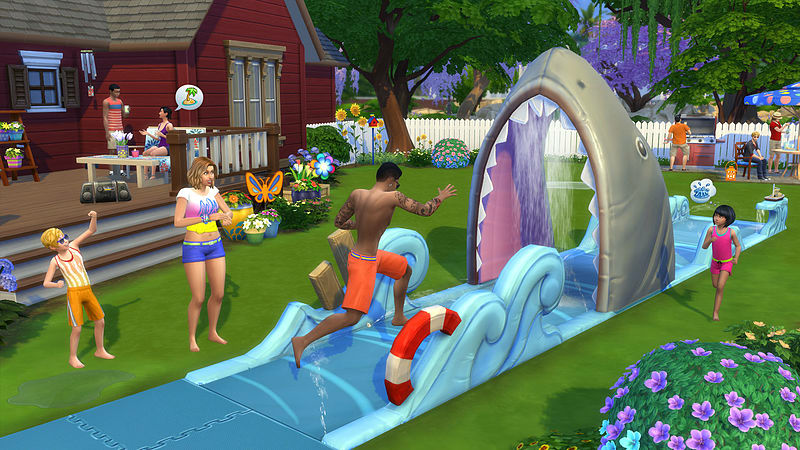 Slip, Slide, and Splash – Your Sims can cool off and let loose on two all-new lawn water slides. Perform and perfect a variety of tricks for your audience including surf-sliding through the jaws of a shark! Add soap for an even wilder experience. Personalise the Backyard – Brighten up your Sim’s outdoor space with vibrant potted plants, playful decorative lights, and multi-coloured patio furniture. Finish off the look with a soothing wind chime or add a bird feeder that’s sure to attract a few feathered friends. Lounge in New Fashion – Dress your Sims in comfortable clothing and relaxed hairstyles that are perfect for hanging out in the backyard or sipping a glass of iced tea.